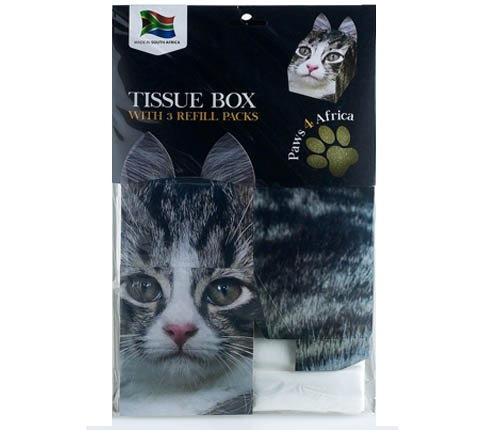 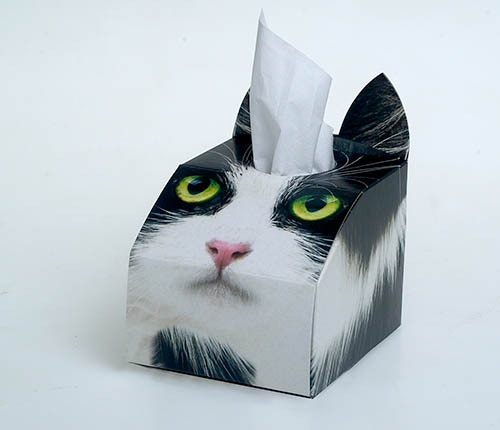 Brought to you by Paws 4 Africa, Cat Tissue Box – Black & White. 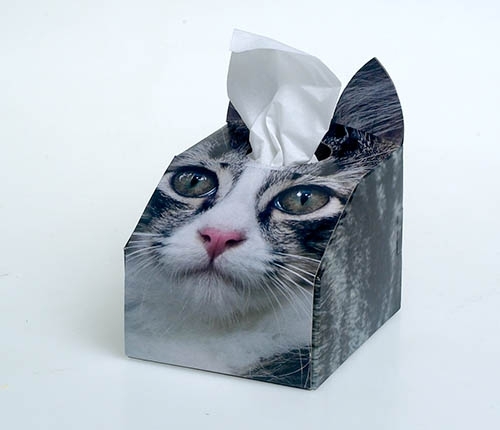 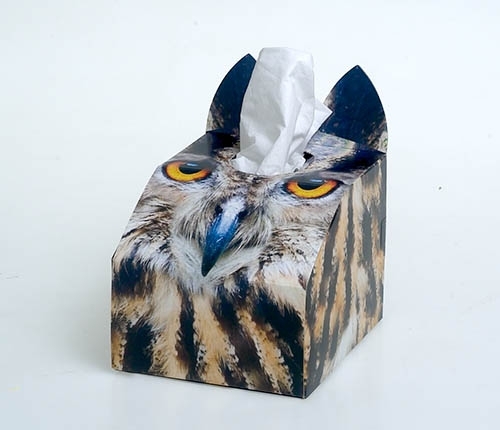 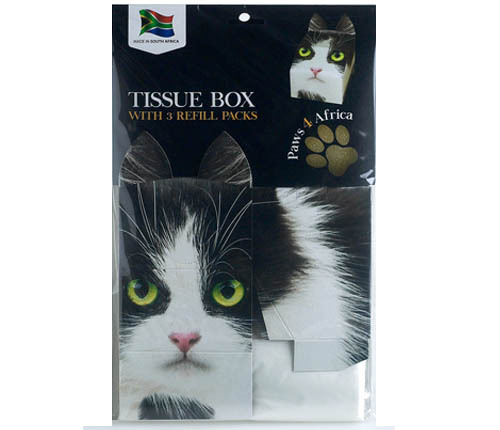 Produced and patented in South Africa, this unique Black & White Tissue Box is a special gift for animal lovers. 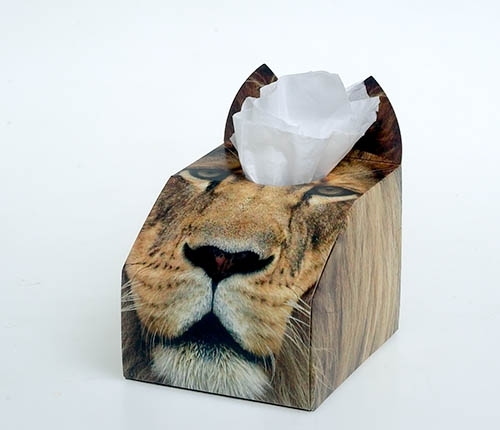 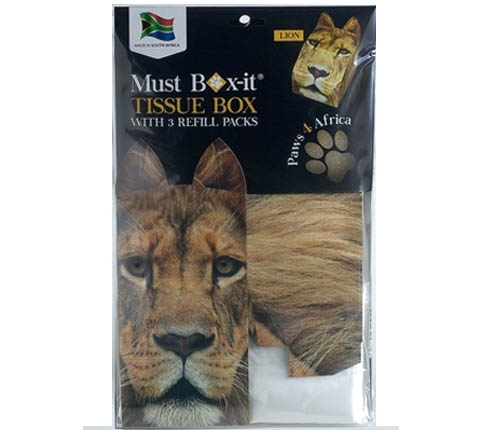 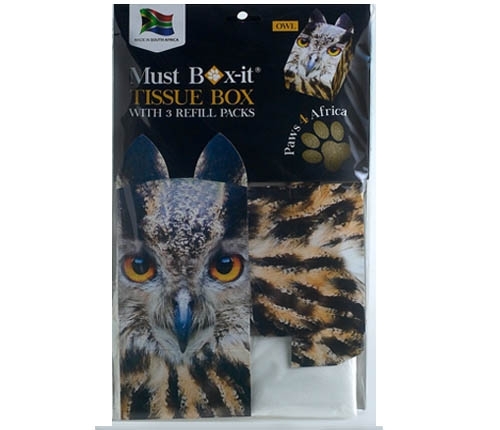 Made of recycled cardboard, the PAWS 4 AFRICA tissue boxes come in three series – Cats, Dogs and wild Life.